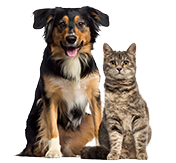 If you live in any sort of beautiful, outdoorsy landscape, chances are you also live side-by-side with animals that could cause potential harm to your pet. When you take your dog for walks, hikes, a camping session, or even just hanging in the yard, mammals, marsupials, insects, birds, and reptiles can cause health problems or fatal attacks if proper precautions aren’t taken. 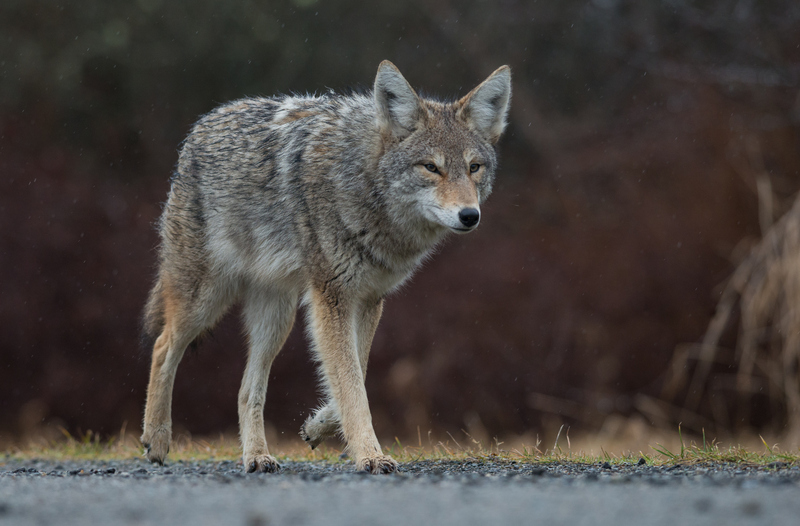 Mountain lions, coyotes, and snakes are the most prevalent threats to a dog, but avoiding raccoons, bears, and other woodland critters is definitely recommended for domesticated animals. Wild animals may not hurt your dog intentionally, but their natural instincts can sometimes cause a harmful interaction (regardless of your dog’s temperament). One of the most important things you can do to keep your pet safe from predators is to secure the perimeter of your outdoor space. When you live right up against wilderness of any size, this is the first defense in keeping your dog from meeting any predators up close. Feeding a dog outside can also have unintended consequences, since their food is going to attract other animals the longer it hangs around. At the end of the day, most of these creatures are seeking something to eat, so if you provide it even inadvertently, the chance of an attack or encounter increases. Keeping your dog indoors overnight is also a crucial strategy for safety from animals to weather. Even though larger dogs can seemingly defend themselves, they could also pick up a disease from an encounter, so think twice before making a dog of any size sleep outdoors at night. At the very least, dogs need a shelter to protect them from the elements or wild animals. You may need special gear to go the extra step for some activities, especially if you own a working dog or you’re in the wild. Snake bite prevention collars, bear mace, and even pots and pans can help you ward off an attack if it’s already imminent. Don’t be afraid to use nearby sticks and stones to defend yourself and your pet if it comes to that. Keep your dog on a 6-foot leash. Avoid walking your dog at sunrise and sunset hours. If you encounter a bear or mountain lion, follow the National Park Service guidelines to avoid an attack: Staying Safe Around Bears and Profile: Mountain Lions. Wild animal encounters can occasionally be unavoidable, but you can keep things to a minimum by not inviting them to your dog’s space. Protecting your dog is all about setting their environment up for success. Using these tools or techniques gives you the start you need for an essential safety plan. Love your pup like family? So do we! Check out Healthy Paws Dog and Puppy Insurance for your four-legged BFF. Our one simple plan covers everything from nose to tail. Start by getting a free quote today.